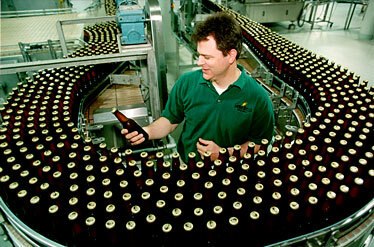 Hundreds of bottles of Gordon Biersch beer stream down the assembly line in California. 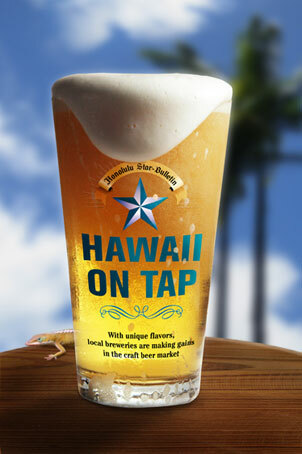 The process of making beer, including video. 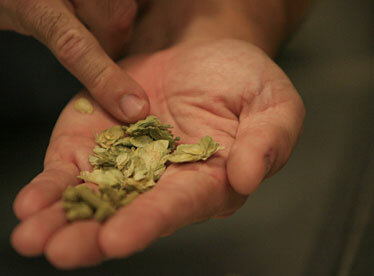 Owner Garrett Marrero displays hop petals used in Maui Brewing Co.'s beers. 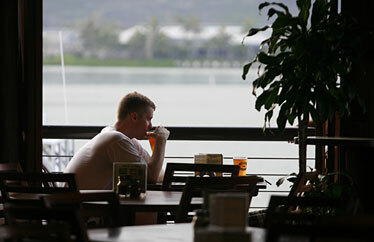 Customer Richard Estalker at Kona Brewing Co.'s Hawaii Kai brewpub. 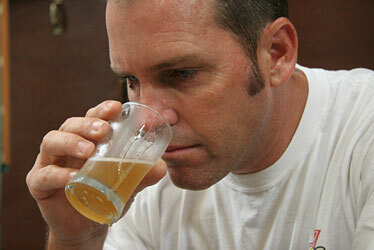 Brewmaster Dave Campbell samples his work at Sam Choy's Big Aloha Brewery.